So where do I begin? People have been writing to me and even stopping in the store to say 'hi' to me and all have the same question: "When will you be updating your blog?" I guess my standby explanation of poor Internet connections will only get me so far. Yet that is one of the reasons, one of my other reasons is that a couple weeks ago I was asked to go to Grant Village and manage the store there. Another reason is, well this a good one, I've been out having fun. 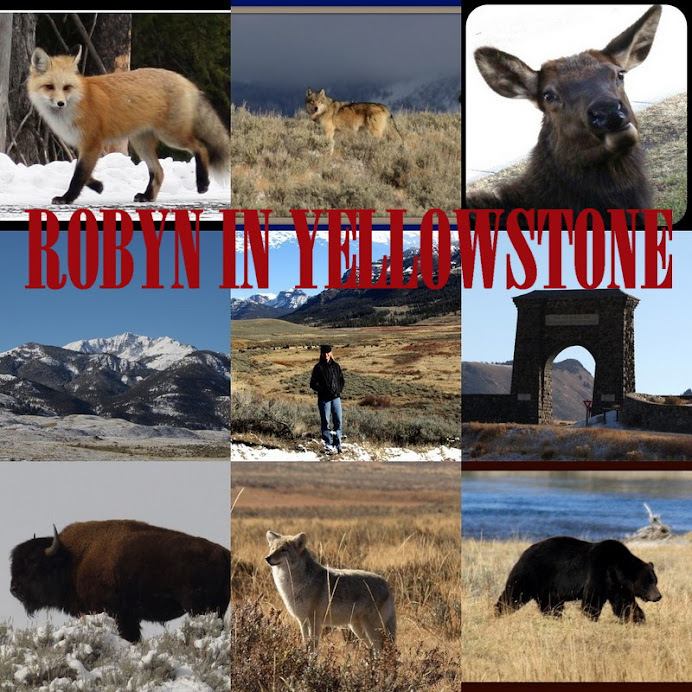 I've been out beyond the boundaries of Yellowstone experiencing the fabulous West. More on that later but for now I'll fill you in Grant. I have temporarily left the Adventure Store to be the manager at Grant YGS until that store closes September 20. It is a large beautiful store that includes a grill. I came to the store and the 66 employees there with a bit of trepidation. I wondered if I could get comfortable in a larger store with a group that had already bonded. My worries were completely unfounded and I have found I love it there. The Associates there are top notch and I slid into my position there comfortably. Andrea is now the manager at the Adventure Store until I return there and she is doing a great job. Andrea and I will be friends for quite awhile as she has also been hired to work at the YGS store in Mammoth for the winter. She will soon learn about the excitement of Taco Tuesdays. Working at Grant does have a small but temporary complication. I now find my stuff scattered between 4 locations: Canyon, Grant, Lake and Wapiti. I travel to Grant from Lake and on August 31 I found myself driving through some heavy snow flakes. The road from West Thumb to the south was eventually closed for awhile. It snowed again on Thursday night but it didn't stick to the road but the trees were covered with a beautiful white powder. I also see elk as I drive along Yellowstone Lake, some of which are huge bull elks that have started their bugling for the fall. A large owl swooped down in front of my car one morning and I saw a pine martin dining on a squirrel that had become the victim of a car tire. The bison have made the roadway and the shoulders their home between the government area of Lake and Bridge Bay. Patrick and I drove up to his apartment one night earlier this week to find a herd of bison standing between the building and the parking area. Some smart maneuvering on our part made it possible for us to exit the car and make our way up to the building without the bison seeing us. The rut is mostly over but there are a few moaning male bison out there ready to charge or swing their massive heads at passing vehicles. I am still seeing some small bison calves that are still red which makes me concerned for their survival through the winter. This past Thursday I saw a couple wolves on the other side of the river just north of LeHardy Rapids. It has been quite awhile since I've seen wolves but some of the Associates at Grant have been talking about hearing them howling in that area. One even had 2 wolves run past him as he walked to the store from the employee RV area. I have seen grizzlies in Hayden Valley but most recently was the sow with her cubs at a kill by Alum Creek. This would be the 3rd kill in that area that I've heard about this summer. The wolves then come out to the carcass which causes quite a stir amongst the guests. There has been quite a show there all summer. I've been seeing moose near the East Entrance and a large bull moose on a drive do a ghost town. Last Thursday evening Patrick had a mountain lion cross in front of his vehicle by the firefighters memorial on the way to Wapiti. I had quite a treat last week while at Grant. Miss Ellie, who's father is the founder of the Hamilton Stores in Yellowstone, came into the store for a visit. She is a wonderful and welcoming woman who I'm sure is filled with wonderful Yellowstone stories. Her father founded the Hamilton Stores 89 years ago when Miss Ellie was 3 months old. She started working in the stores when she was 5. What an exciting life! In this picture I am with Miss Ellie and Grant's Grocery Lead, Jay. Jay has worked in the stores for 20 years and had the pleasure to work for Miss Ellie. I was so excited to be included in the picture with these two Yellowstone veterans but after I saw the picture all I could think was "Wow am I tall!" (I'm 5'9"). Last Saturday I was on to another adventure. Patrick and I decided to head to an old mining town called Kirwin. It is 20+ miles down a dirt road that at times can be a navigational problem. After crossing dried stream beds, maneuvering around ruts and rocks we finally made it there. The buildings are beautifully maintained by some dedicated volunteers who do not want to see this piece of history disappear into a heap of rubble. The buildings can be entered and you can almost hear the ghosts of the miners as they do their backbreaking labor. Our next area on our list to visit is South Pass, part of the Oregon Trail. I'm still in close contact with the Associates at the Adventure Store. I returned one evening to take part in the swearing in ceremony of the Jr. Rangers at Ranger Daniel's evening ranger talk. Yup, the employees at the Adventure Store are all now Jr. Rangers. Though it is a program for children we decided as a group to complete the necessary requirements to become Jr. Rangers to show our support for the program. Ranger Daniel is a frequent visitor to the Adventure Store and will absolutely no hesitation he volunteered to be the ranger to swear us in. There was actually one child that evening who was becoming a Jr. Ranger, also. And as you may remember from last year the employees in the Park celebrate Christmas on August 25. On 'Christmas Eve' the Canyon YGS employees, along with the Adventure Store employees, have a celebration complete with a potluck, a visit from Santa, gifts and entertainment. The Adventure Store put on a skit about what life is like in the interior of the Park during the early spring when we often get snowed in. It was about how much we enjoy eating in the EDR. Half the Adventure employees were covered by sheets and were the 'hands' to the employees who were the 'eaters'. The 'eaters' wore raincoats as the skit got to be rather messy with bananas, burritos, pudding, milk and teeth brushing. I was the narrator but I was unable to watch most of the skit because I kept laughing.